OneKind I Our Policies I Intensive Farming- is it humane? Intensive farming of animals for meat, dairy and egg production is incompatible with giving animals good lives that are worth living. 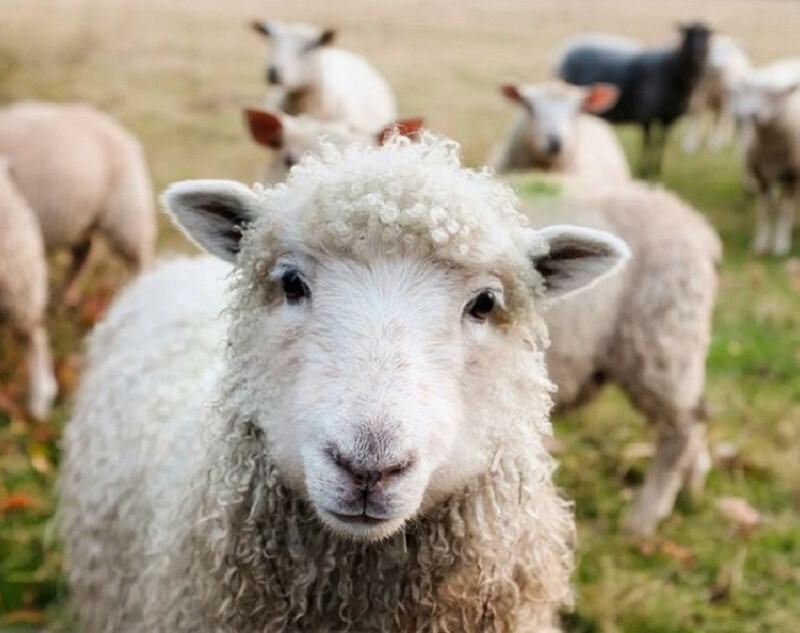 OneKind urges individuals to avoid the consumption of products from intensive farming practices and supports Government intervention to end intensive systems and replace them with lower impact alternatives. Every year in the UK approximately 3 million cattle, 10 million cattle, 10 million pigs, 15 million sheep and lambs, 80 million fish and 960 million birds are slaughtered for human consumption. Animals are also used to produce other products, such as hens producing eggs and cows producing dairy products. With such high numbers of animals being used for these purposes, intensive farming practises that aim to maximise the yield of animal products is inevitable. These practices create serious and insurmountable animal welfare concerns, some of which are listed below. Most of the UK’s 36 million laying hens (with about 6 million of these found in Scotland) live in cages within windowless sheds that contain tens of thousands of birds, or more. Whilst the “typical” battery system, where chickens were kept in a metal cage smaller than an A4 sheet of paper, was banned in 2012, the lives of caged hens have improved very little since then. This is because, as a replacement to battery cages, “enriched cages” are now used. Enriched cages have only a little more space than battery cages, but include a nest box and a perch. Whilst these additions may seem to improve the lives of hens, they still live in a small confined space and are prevented from exhibiting normal behaviours such as walking, flying, scratching and dust-bathing. Furthermore, being in close proximity to other chickens can result in aggression, and injuries can arise as a consequence. This is used to justify the practise of beak trimming, whereby part of the chicken’s beak is trimmed in an attempt to prevent laying hens from pecking each other. The Farm Animal Welfare Council notes that this can lead to: trauma to the bird during the procedure, chronic pain, loss of a sensory tool, and loss of integrity of a living animal by removal of part of its beak . Mutilations of pigs are routine in intensive systems. For example, tails are docked to reduce the risk of individuals biting the tails of others, a behaviour that occurs in high density systems. Tail docking is known to cause pain and distress, with research showing that it increases vocalisation, tail wagging and tail jamming (clamping on to the tail stump) behaviours [2,3]. Worryingly, anaesthesia is only required if the procedure is carried out after the pigs are 7 days of age or older. This means that younger piglets experience tail docking without anaesthesia, which is known to cause severe pain. Those that advocate tail docking argue that it prevents pigs from harming each other. However, a much less invasive way of doing this is to improve the enrichment of the places that pigs are kept. For example, research has shown increasing the amount of straw provided to pigs increases their natural behaviours (such as rooting and ploughing) and decreased their harmful behaviours (such as aggression and tail biting) . Other routine mutilations include teeth clipping and castration of males. For an extensive list of these practises, see OneKind’s comments on the treatment of pigs in intensive systems. As well as being subject to painful mutilations, pigs in intensive farming systems also suffer because of the conditions in which they are kept. Whilst sow stalls, pens that female pigs are kept in during their pregnancy, were banned in the UK in 1999, farrowing crates are still legal. Farrowing crates are crates, where female pigs are kept (separate from their piglets), a week before they have given birth, and remain in them until the piglets have been weaned. The reasoning behind this system is that it prevents sows from crushing their piglets, but this is not always realised, as crushing still occurs in farrowing crates. There are many issues with farrowing crates. They create stress for sows, largely because they prevent them from exhibiting natural behaviours. As females are introduced into the crates a week before giving birth, they are prevented from the natural urge to build a nest for their piglets. Whilst there is legislation that states that farmers must provide sows with nesting materials such as straw and hay, this is often not enough to allow sows to fully exhibit their nesting instinct. Once the piglets are born, farrowing crates cause further problems for sows. As sows are kept separate from their piglets, it means that they cannot exhibit natural behaviours, such as cleaning them. Farrowing crates also mean that a sow cannot escape her piglets if they are causing her distress, for example through over-suckling. Cows are used to produce meat and dairy products. Within intensive systems, cows are kept indoors, with many never seeing the outside world. For beef cattle, they may be kept in poor housing conditions, which can lead to respiratory problems, lameness and infection. For dairy cows, the demand for high yields of milk is leading to serious welfare problems, especially as the milk production per cow has more than doubled in the past forty years . Problems include a decrease in their longevity and increased likelihood of lameness, as cows are weighed down by large udders, which have become increasingly distended because of selection for higher milk yields [7,8]. OneKind encourages individuals and organisations to adopt and encourage vegan and vegetarian lifestyles. If people choose to eat animal products, they should buy them from sources where animals have not been farmed intensively. For example, currently around half the eggs that are eaten in the UK are from caged hens, whereas alternative such as free-range, barn and organic eggs are available. OneKind also urges the government to improve the practises that farm animals are subject to. An example of this would be to make it illegal to perform tail docking on piglets that are younger than 7 days old without anaesthesia.